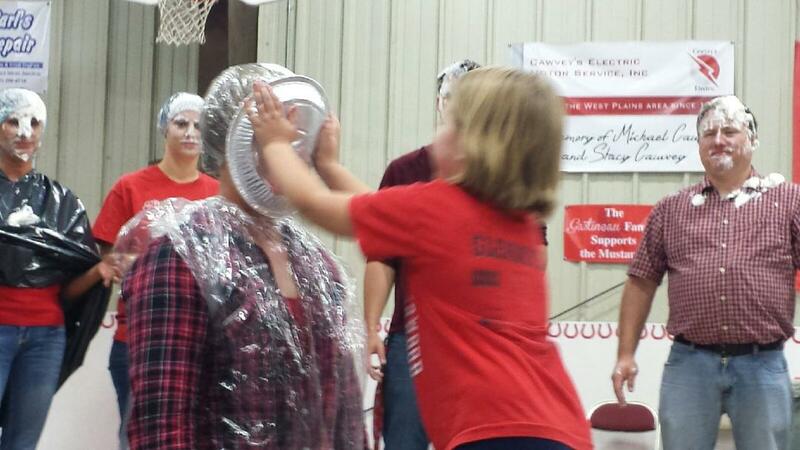 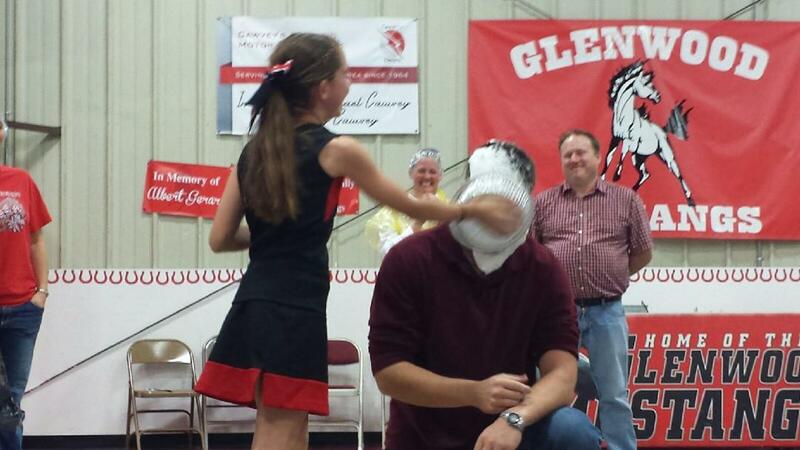 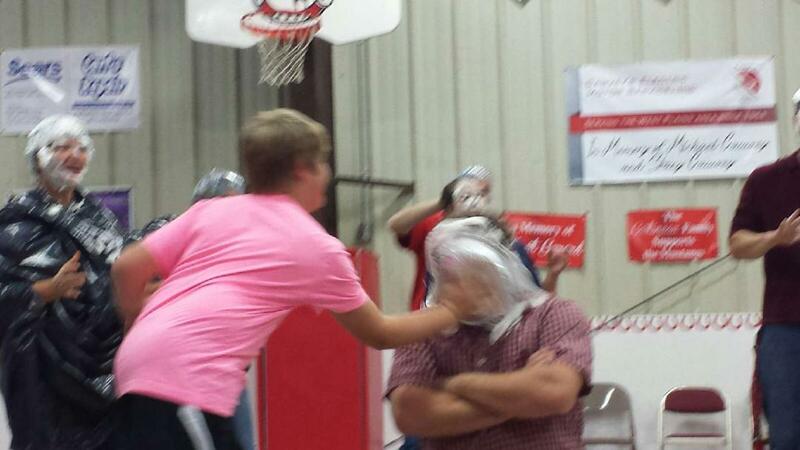 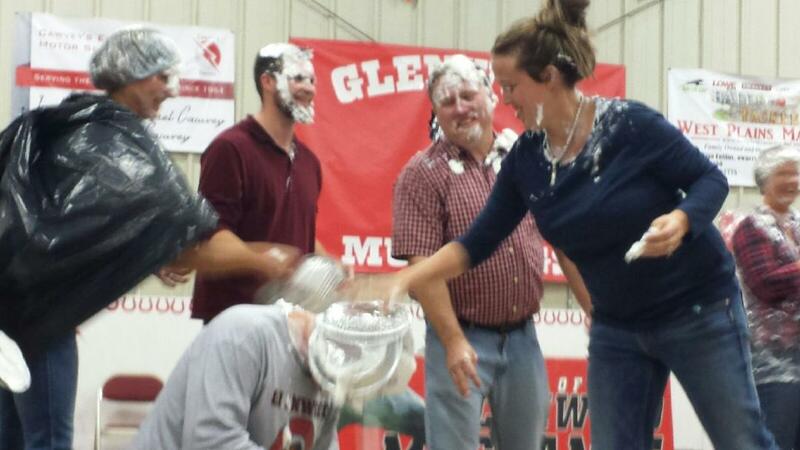 "Pie in the Face" Fundraiser Raises $250! 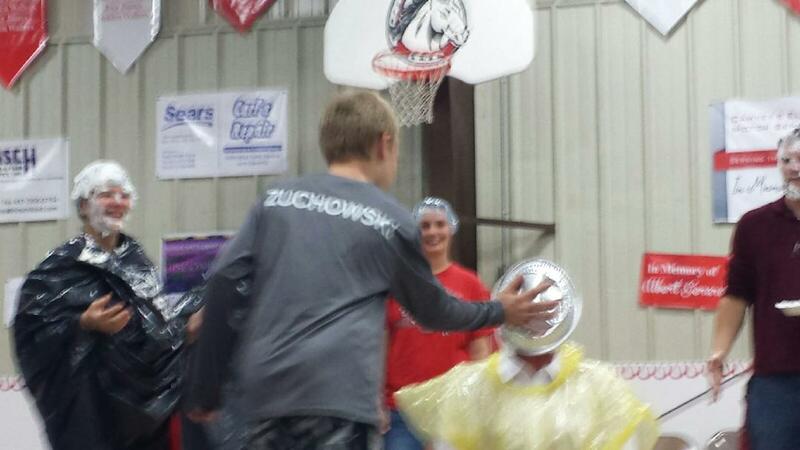 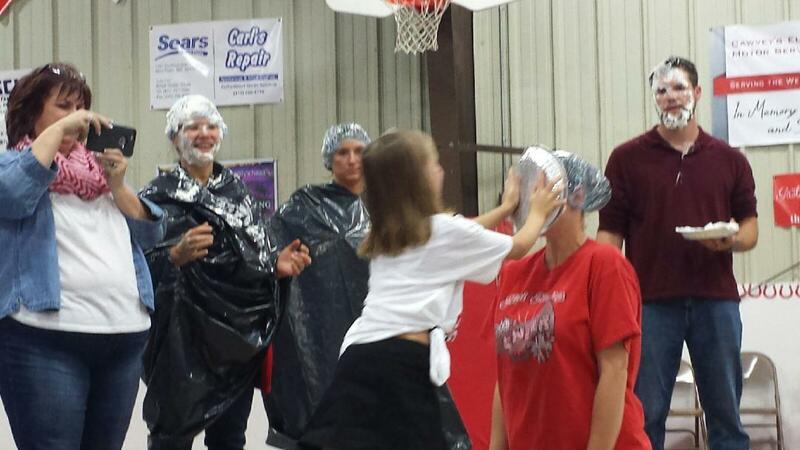 Booster Club recently raised $250 for St. Jude Children's Hospital with its annual "Pie in the Face" fundraiser. 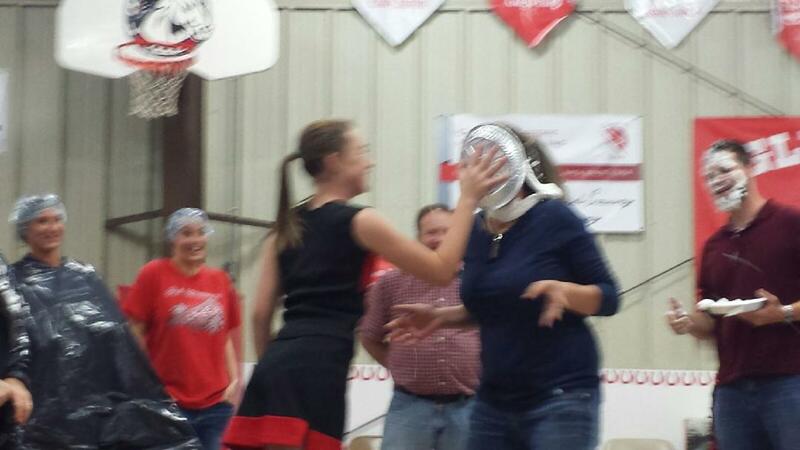 Students paid $0.25 for a chance to throw a pie in the face of a coach or the principal, Mrs. Moffis. 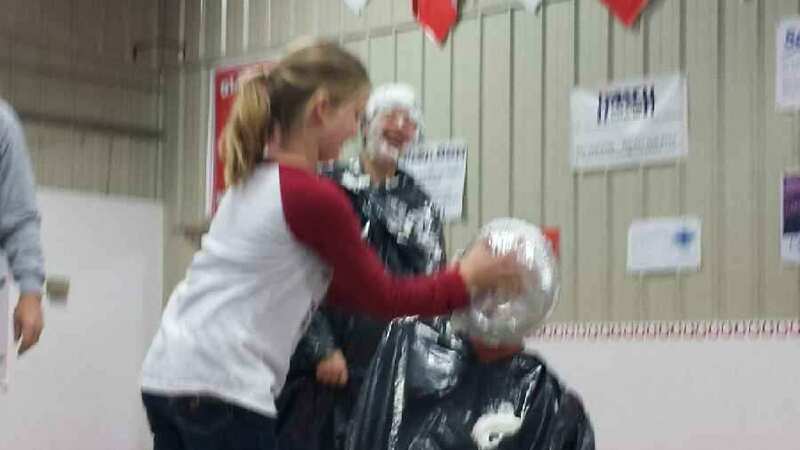 This is an annual event that has raised thousands of dollars for St. Jude's over the years. 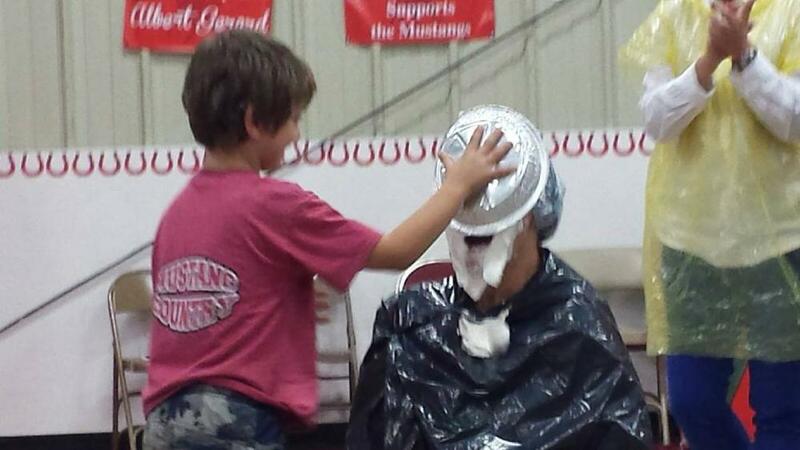 Way to go, Mustangs!